This is the Tipperary Sportage 8500 helmet. It is constructed proudly by Phoenix Performance in Ontario, Canada. Phoenix has always supported and still actively supports youth programs of horse riding events. I am excited to present this review to you and your young horse rider. This is an excellent choice for a kids horseback riding helmet. This helmet gives you an opportunity to protect your beginner level student of western riding, against any really serious riding injuries. The head of your beginner will be protected to the maximum with the Tipperary Sportage 8500 riding helmet. Now I want to present a picture of why the Tipperary is built well for maximum protection. 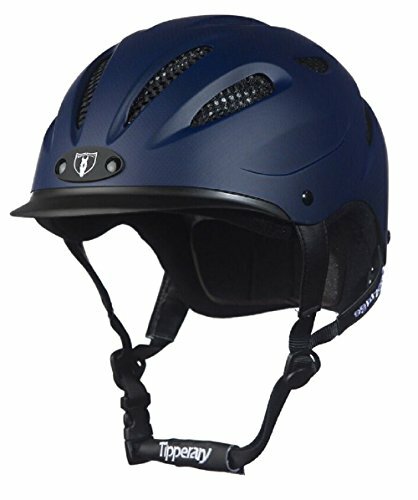 The Tipperary Riding Helmet is a tough, flexible riding safety helmet. It is designed with the main idea of protecting young horse riders from injury while riding a horse. This helmet does a really wonderful job of totally protecting the head of the rider. While we encourage strongly protecting the children from horse riding head injuries, it is vitally important across the board that everyone would one day be best protected against head and brain injuries, by wearing a cowboy hat helmet. 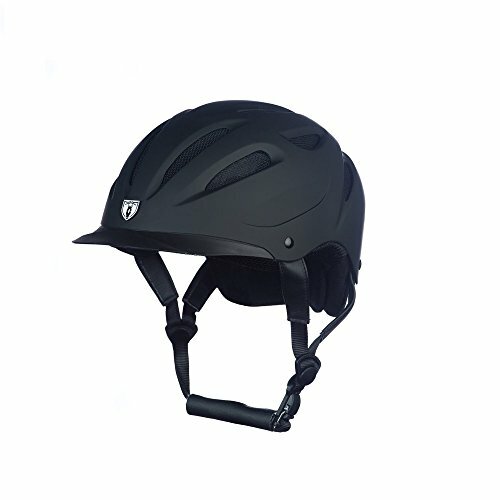 Many riders have mentioned specifically that the helmet covers the back of the head down towards the top of the neck, as well as how well the helmet fits the head of each individual so very well. Many also have commented on how well the helmet is vented. Many have also mentioned they had never successfully worn a western riding safety helmet before because they were always too warm to wear. This isn’t so with the Tipperary Sportage 8500 riding helmet. Phoenix Performance, the parent of the Tipperary riding helmet’s production and design, started its work on horse riding safety over 30 years ago now. The Tipperary Sportage 8500 riding helmet is built by Phoenix, which is located on the northwest side of Toronto, Canada. They are located actually in Vaughan, Ontario. They are now known throughout most horse communities, as you make your way around the world. 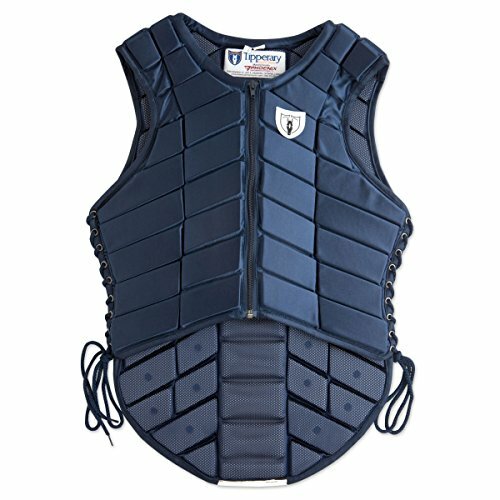 And, they are highly respected for top-notch safety products for horse riders, especially the young competitors. Here is a perfect example of their goals for child rider safety. This is designed specifically for the youngsters who compete in the horse eventing activities. This Eventer Vest is available in three colors. The colors are Black, Hunter Green, and Navy Blue. This is usually priced in the $250.00-$350.00 range. I believe this is well worth the investment to protect your young rider from serious horse riding injuries. The product developers at Phoenix Performance have made it their goal to always treat all riders, at all ages as athletes. Each product is made with maximum mobility, attention to comfort and functional fit. As they do this, they have worked hard to produce top-notch riding helmets that strongly protect the rider from serious head injuries. The helmets can be adjusted for a good fit. Their goal is to form a bond of trust with their customers. It is made with ABS material. ABS is short for Acrylonitrile butadiene styrene. This is quite a mouthful, but ABS is a common thermoplastic polymer which is typically used for injection molding applications. The best qualities of ABS is that it provides a nice strong helmet, but a lightweight helmet. This helmet comes in the following sizes. As you look at the information below this is how it reads. Imported from Canada. If you are looking for Made in the USA. In the overall view of this western style riding safety helmet, I believe that any rider would be very fortunate to own and ride with the Tipperary Sportage 8500 helmet. I have found that the helmet is versatile for different types of riding, and it just fits in. The style is not a drawback. You will have no problem with it embarrassing you with its looks. It is lightweight, comfortable, is cool to wear in the summer, and it is not hard to look at, it is easy on the eyes. Some riding helmets in the past were known to be ugly, the function was fine, but the look was not fitting under any circumstances. So now with this helmet, you can have maximum protection, and you won’t even notice because you are very comfortable and protected. In shopping you will find that there are different colors of the Tipperary Sportage available to be purchased. As the model type changes so do the price of the riding helmet. Here are a couple examples of the current hot models and click to get today’s price for you. A very Hot Choice is the White Tipperary Sportage Model. It is sleek and eye-catching, I believe you will agree. You can check the price for purchasing today! While looking at the Tipperary Sportage it is also ready to be purchased in a Navy Blue color choice. In Navy Blue take a look at how elegant, and sleek it will look on you. All the features are here as previously discussed. You will not be overheated wearing this riding safety helmet. Please also don’t forget all the benefits you will have for yourself when picking the Navy Blue Sportage Helmet. So a further discussion of Tipperary riding helmet selections will bring you to the Tipperary Sportage Hybrid helmet series. There are different colors and different price ranges to choose from in shopping and buying your horse riding helmet selection. The pricing generally has ranged generally speaking, from Around $75.00-$160.00. Sometimes a little less, sometimes more. You can click to get today’s price from Amazon. The Tipperary Riding Helmet is met with open arms around the world by horse communities. The helmets are light, flexible, and moderately priced. 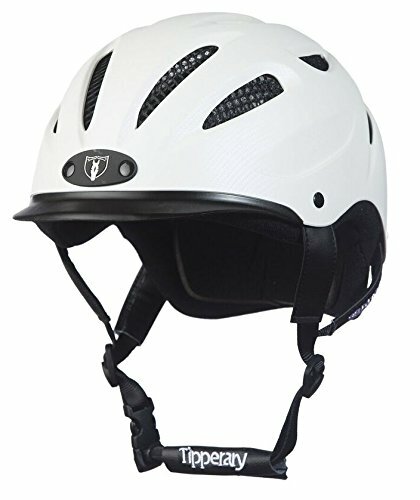 If safety is the first choice for you, you need to look at a Tipperary riding helmet.